We all know winter can wreak havoc on our vehicles and we cannot escape it, but we can definitely fight back. There are many winter factors that work against your vehicle. Salt and rust is one that man has been battling since what feels like the beginning of time. Salt is highly corrosive and does not mesh well with paint and metal. Paint on your car is an obvious one, but the rims on your car absolutely takes the brunt of brutal winter conditions. Mother Nature can be unforgiving but there are a number of things that can be done to battle back to ensure your car will last for winters to come. We all love that freshly waxed look. 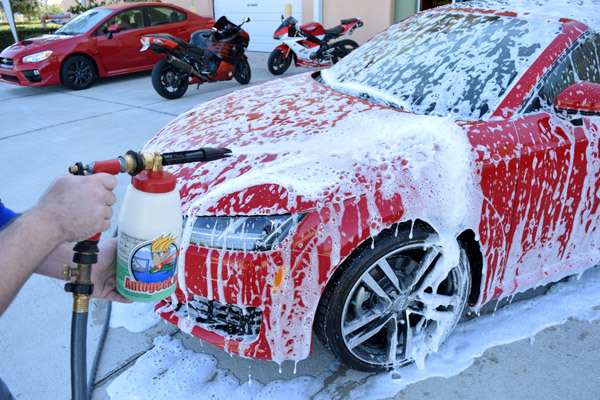 Waxing your car in the off-season is the # 1 way to ensure your paint remains slippery and less likely for contaminants to stick around. Keeping your vehicle waxed will not only protect from oxidation but it will repel that damaging salt. It is obviously tough to wax a car in the winter, so make sure it gets done sometime in the fall. Most quality waxes will last nearly a year and remain effective. 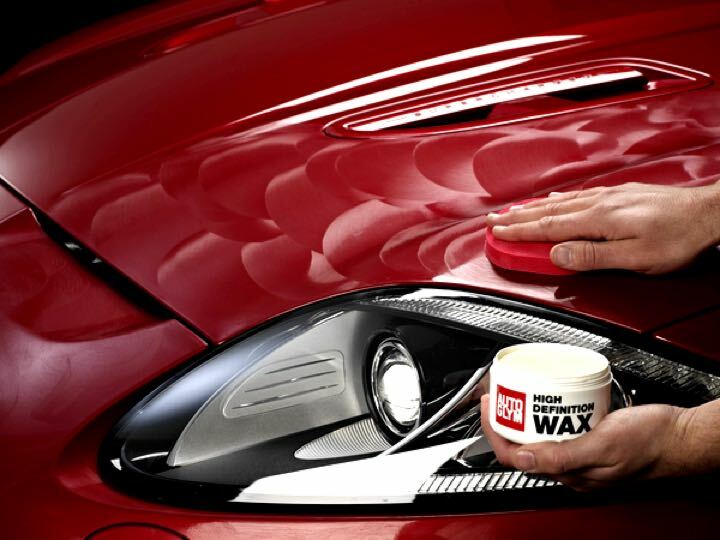 Waxing your car doesn’t just apply to certain body panels; wax the ENTIRE car. This includes hard to reach places such as the roof, side skirts and rocker panels. Anything that has paint applied to it, wax it. You will be happy you did. Maintaining your rims are just as important as your paint. These days there are many materials that are used to produce rims for automobiles. Luckily the same process can be used for most materials. Common materials include aluminum and painted surfaces. These will all react negatively with the salt and create oxidation and/or rust. Aluminum rims will corrode and the clear coat will begin to peel further exposing it to contaminants. Painted rims will oxidize and become faded. Waxing both types of rims will protect them through the winter months. To further protect rims there is a little trick to follow. Apply WD-40 to all 4 rims with a towel. DO NOT SPRAY IT. If sprayed it can go through the rim and affect your braking ability. A light coating of WD-40 will ensure an extra slick surface and keep everything looking clean. DON’T FORGET THE CAR WASH! Now that everything is waxed and ready to go, a weekly car wash is a must. Just one storm can cover your car and it is important clean it as soon as possible. The less time the salt remains on the car, the better. 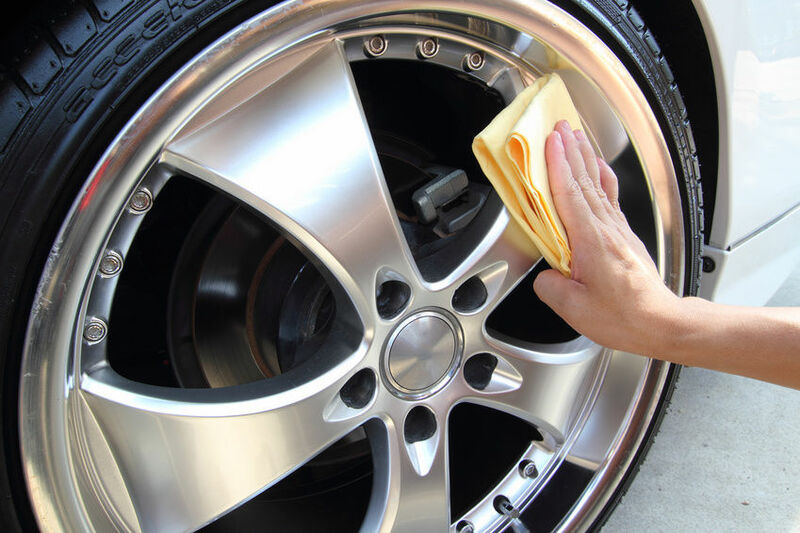 If you choose to wash your car yourself it is easier to clean all the cracks and crevices. Make sure to inspect door jams and inside of doors to make sure nothing leaked through. The areas most prone to rust are where panels meet and where metal seams exist such as the areas in the wheel wells. Once the paint cracks and exposes raw steel there is not much you can do to stop rust from spreading. It is best to wash your car when the temperatures are above freezing so that the water doesn’t freeze and create problems with any other parts of your vehicle. If you are not one to wash cars in the cold the best option is to take it to the neighborhood car wash. The car wash does a great job but doing it yourself will not only save money but you can clean those hard to reach areas. It is highly recommended to utilize the under wash feature at the car wash. The under side of your car is just as important as the paint and rims. Keep that car clean! If you have any paint issues or imperfections that you want eliminated, don’t forget we have state-of-the-art auto body shops to bring that paint back to new. Whether you are in Massachusetts or New Hampshire, we have you covered.Visit anyone of our 15 dealerships for the most realistic pricing on new & used vehicles. With 12 manufacturers to choose from there is a car wating for you!